How to make selecting a timezone more user-friendly? 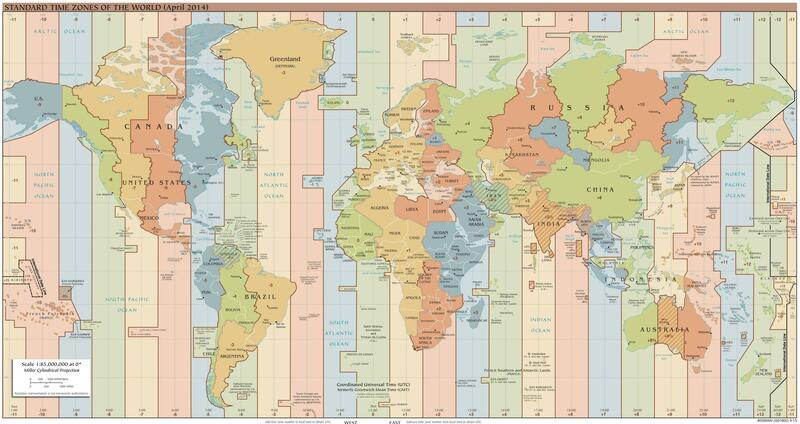 The list of time zones is rather long, lots of duplication, and not very friendly to programmers let alone end-users. Is there a way to shorten the list to something friendlier and sufficient for 80%+ of users? But then how shall one decide which are the popular Tz? The list in Windows seems pretty good, but I'm not sure if that's a good list to model after. It is interesting because DST is optional, is that why the list can be that short? Someone worked out the tz equivalents here. I'm in Pacific Daylight Time (PDT). JS's getTimezoneOffset() returns 420 ==> offset -7. If I use the time zones list above, how would one tell its US/Pacific (-8)? Furthermore, what are the popular names for time zones? US/Pacific or Canada/Pacific sure sounds friendlier then America/Los_Angeles or America/Vancouver. Lastly, how are the 2 timezones above different? Can they be safely grouped together and just use America/Los_Angeles in the app? How shall one group time zones together? Users sometimes know the names of the time zones, e.g. PDT or CET. But there are local flavors like MEZ (a German term) or you'll find users that don't know these terms at all. The standard is UTC (Universal Time Coordinated) but many people still know this as GMT (Greenwich Mean Time). Using examples of locations in time zones is a good idea. Using countries is more generic and would be good but doesn't work e.g. for the US. To be consistent in the selection using cities is the better way. Depending on your use cases and application there might be another way. If your users enter their location and/or postal address anyway the best solution then is to not make them select manually but to pre-populate this information for them based on their former input. A map with the title "Where are you", and when user selects a zone update a text with current time (to verify) "In your place it is 08:15 AM". The simplest solution should be to call getTimezoneOffset() on a every login or page load, and not burden the user. I don’t know why it isn’t working for you; I thought getTimezoneOffset() accurately accounts for geographic location and local DST practice. Maybe you should investigate this some more to understand when, why, and how much getTimezoneOffset() gives errors. If you have to show the users a list of time zones, then try filtering the list and adjusting the names for their locality, based either on their IP address or user-supplied country name. It becomes part of more general globalization/localization you need to do with your product. 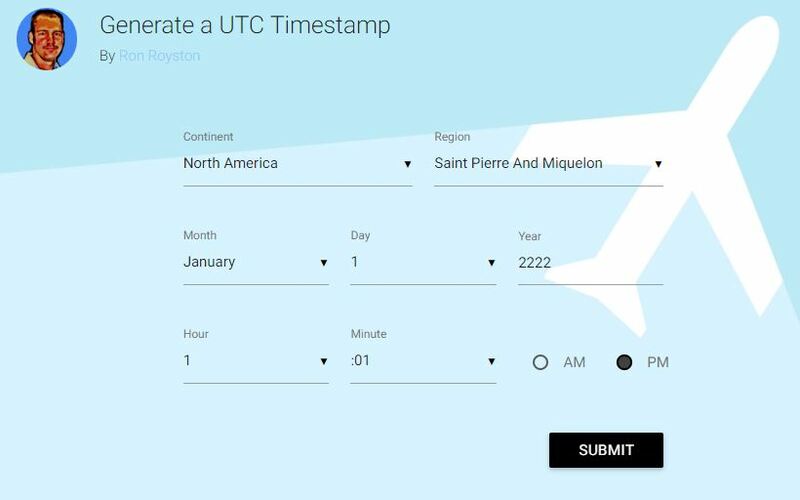 Rather than ask the user for their time zone, perhaps it’s better to ask them for their local time and calculate a correction by comparing it to getTimezoneOffset() and UTC. In other words, displayed time = UTC + getTimezoneOffset() + user_supplied_correction. I’d expect that entering the time to the nearest 15 minutes to be easier than choosing among dozens of time zones, many of which would be unfamiliar. Use getTimezoneOffset() to set the default time and perhaps most of your users won’t even have to enter the time, or, at most, they make only a slight change. Getting local DST practices is harder. You cannot expect users to know the exact date that DST changes for them, and I wouldn’t even trust them to know which time of the year is DST for them. However, maybe getTimezoneOffset() does sufficiently accurately indicate local DST practices, which I believe vary less than time zones. If so, then using UTC + getTimezoneOffset() + user_supplied_correction would take care of it. If getTimezoneOffset() just isn’t accurate for that, you need a table or service that relates location to DST practice. Again, maybe you can use the users' IP address, or use the user’s country (and maybe state/province), assuming you’re asking for that information anyway. It won’t be perfect, but maybe it’s acceptable if it works for the vast majority of your users. Given you’ve supplied an easy way for users to correct the time, the few edge case users always have the option of manually adjusting for DST, so you won’t be forcing them to live with the wrong time. The above assumes you’re concerned with correctly displaying the local time. For entering a calendar event that can occur in another time zone, the name of the time zone in your dropdown should match how time zones are expressed to the user in the information sources that tell them about the events. For example, if the user sees or hears stuff like “Webinar 2:00pm Pacific Time,” then one option is “Pacific Time.” You’ll need to do some research to find out what those expressions are; it probably varies with the user population. Geeks might use UTC+/-X, but maybe no one else does. Sources used by pilots often use UTC regardless of the location (e.g., NOTAMs). Maybe different localities have different names for the same time zones. It may be helpful to redundantly indicate the offset from the user’s local time (not UTC) –for example, “Pacific Time (3 hrs earlier)”. The user may have some idea what the offset is, so this would help them confirm their choice. Of course the user should always have the option of entering the equivalent local time for cases when they know the offset. Also, in some cases it’ll be easier to get the offset than to identify the time zone (e.g., call the person at the location the event will occur and ask them what the local time is). It may make sense for the dropdown to list only the 5-15 most commonly used time zones (probably the times zone geographically closest to the user’s time zone), and include a More option to open a dialog or page listing time zones in detail (e.g., supplemented with a map). You may be trying to solve the wrong problem. If this problem is being solved for a website, and its about displaying some event time in local time for every user, then you may like this solution: we never ask our users to enter thier timezone. Instead we store time in UTC and convert it to local time automatically when it come to displaying data. This conversion has to be done on client side since there is no way to determine UTC offset on server side (unless you managed to detect offset ealier :) As Michael Zuschlag mentioned JS getTimezoneOffset() works great. Put a multiple options for one timezone. -8 Pacific time -8 Los Angeles and so on..
Let users choose based on big cities and timezone. The most user friendly approach would be to determine the users time zone for them. One less field for a potential user to fill out. Revisited this question again and I think Google has done a pretty good job. Timezone is first narrowed down by country. While the click the map approach is very nice I wonder about rendering across device types. A more basic way would be to ask user for continent, then for region. A pair of HTML select inputs is all you really need. A JSON encoded list of continents and regions is available on my CDN https://rack.pub/cdn/timezones.json. A working UTC timestamp generator is viewable https://rack.pub/timestamp. Not the answer you're looking for? Browse other questions tagged gui-design grouped-list time-zones or ask your own question. Which way should I display time zone names to make them easily pickable? Should I display timezone if the user is not in the same location as the event? How to make apply changes more noticeable? What is best UX to avoid 6 buttons and how to make it more user friendly?